One of the ways of measuring the success of your brand is by paying attention to how often your users, readers or clients remember your name. Remembering the name of your company or business is called “brand awareness.” People know your brand, recognize it and remember it when talking about your area or niche. There are several ways in marketing to increase brand awareness; using social media is one of these. Nowadays, it is very common to see how people use social media, not only to interact with their peers, but also to connect with new people and to find out about interesting topics and brands. Most consumers use social media to have a little research on the product they are looking for and to explore new options available in the market of their interest. You need a plan. There is no benefit in posting random content at a random frequency. You need to develop a social media marketing plan and stick to it. 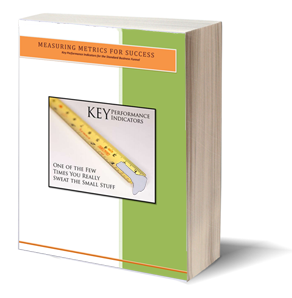 This way you can measure the results of the plan and modify it according to whatever you want to accomplish. Whether you are working solo or with a marketing team, make sure to set clear goals and review them after some techniques have been implemented. Not all media channels may be adequate for your business. The type of audience you want to reach will also define the type of social media you need to use. The kind of business you are developing will also greatly influence the social media channel you select. If for instance, you are aiming towards a colorful site with lots of great images, having a Pinterest profile would probably be a good idea. If your audience and topic are more related to job hunting, LinkedIn is the social media you should be thinking about. The uniqueness and value of the content presented is a trait that every good page should have. There is no way of reaching thousands of people by using poor quality content. Besides this, a balanced way of presenting content needs to be taken into account as well. Having too much information on one side of the coin will make your site look biased, and viewers will likely lose interest very soon. Variety is the key. This is done through interaction. The only way of knowing what interests your audience is by asking them and therefore obtaining some feedback. Feedback is a great tool to increase brand awareness. People like to be heard, and by keeping track of their interests, you can also increase brand awareness since they will most likely remember how good the interaction with your business was. Interaction has to remain constant. There is no doubt that people will love to receive some attention, but if attention only comes when a problem needs to be solved, then the audience is going to stop answering your questions. The interaction between your website and your viewers must be entertaining, interesting and magnetic. They need to feel they are a part of your plan. Paid advertisement is also a good option if you want to reach a higher scope and contact more people faster. Advertising can be scheduled and performed during a few days. It may be useful to promote a specific event or post and this way more people will start knowing about you and your business. On the other side, if you chose to pay for advertisement, make sure your site offers the new viewers a very nice experience. If a million visitors go and click on your page and they notice that it is full of flaws and poor content, they will turn away from your website for sure. Finally, brand awareness is mostly reached through offering and delivering good quality to your clients. Social media can help increase the visibility of your business and can also be a great window to allow the audience to participate and interact with the brand. From this interaction, memories will be created and will give a boost to the brand awareness that you need. Author bio: Vincent Hill is an expert writer who writes on different categories like how to start a blog, content writing, blog design and much more. His writing is not only descriptive but also meaningful. He loves to share his ideas on different categories. You can follow him on Twitter or Facebook.